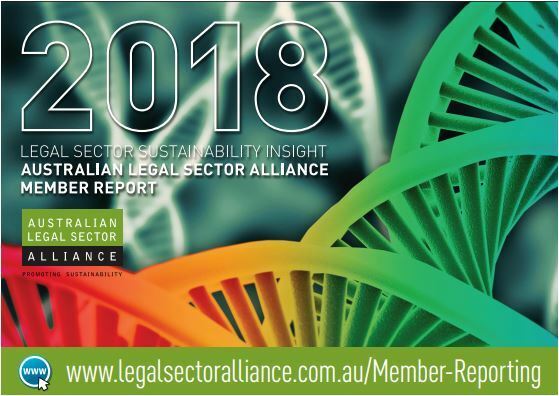 The latest sustainability report from the members of the Australian Legal Sector Alliance was released on the 7th of December 2018. The report explores the issues, commitments and performance of legal firms across the areas of people, community, environment and governance. 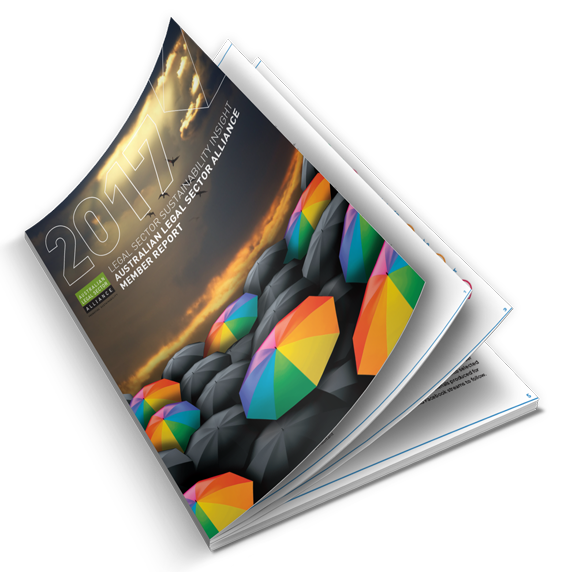 The latest sustainability report from the members of the Australian Legal Sector Alliance was launched on the 29th of November 2017. The report provides explores the issues, commitments and performance of legal firms across the areas of people, community, environment and governance. As part of a commitment to the AusLSA Principles, members of AusLSA are encouraged to measure and monitor their sustainability. AusLSA's member sustainability reporting is based on a Sustainability Framework developed for and by AusLSA's Australian law firm members and stakeholders. AusLSA's Sustainability Framework is based on four sustainability pillars of People, Community, Environment and Governance. Members voluntarily provide standardised data into the AusLSA Sustainability Reporting and Analysis Tool which is used to prepare the standardised Annual Legal Sector Sustainability Insight report. Why do AusLSA members report? AusLSA’s members believe that reporting is a key part of their commitment to sustainability and responsible business. Our members are part of a growing corporate community who understand how their citizenship and the purpose they demonstrate contribute to their business strength and competitiveness. Public reporting is one method that AusLSA members use to articulate the common elements of their sustainability approach and to demonstrate their commitment and endeavour to improve performance in these areas. A disciplined and standardised approach to regular public reporting allows firms - to not only monitor their progress against their own expectations - but also to compare themselves against the standards and leadership within their peer group. This information can be used to manage the allocation of effort and management focus to improve in chosen areas.